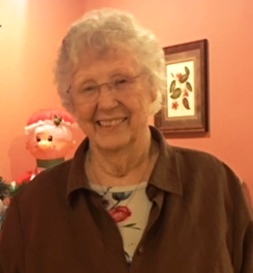 Betty Jo Byers, age 83, of Abilene, died Monday, September 10, 2018, after a short illness. Funeral service will be 2:00 p.m. Thursday, September 13th, in Stevens Funeral Home Chapel, 400 West Pecan Street, Coleman, with John Weaver officiating. Interment will follow in the Burkett Cemetery, Coleman County, under the direction of Stevens Funeral Home. She was born Betty Jo Foster on March 12, 1935, in Lawrenceburg, Tennessee, a daughter of Joseph David Foster and Hattie Elizabeth Coffee Foster. She grew up in Lawrenceburg and attended school there. On December 5, 1952, she married Thomas M. Byers in Poughkeepsie, New York. They celebrated over 55 years of marriage prior to his death on July 28, 2008. She and Tom lived in various places where he served as a Church of Christ minister. Betty worked at Abilene State School (now Abilene State Supported Living Center) as a dorm supervisor in the 1980’s. In 2002, they moved to Coleman, and in 2009 she moved to Abilene. She was a faithful member of the 14th & Oak Church of Christ in Abilene. She loved her church family and also her dear friends at the Arbors at Rose Park. Survivors include two daughters, Elizabeth Burkley and husband Terry of Melissa, and Esther Cox and husband Dan of Abilene; two sons, Thomas Byers, Jr. and wife Beverly of Coleman, and Allen Byers and wife Carla of Abilene; one sister, Inez Vess of Poughkeepsie, New York; seven granddaughters, Darlene Burkley of Melissa, Shanna Klutts and husband Waylon of Midland, Amy Boyce and her husband Ben of Abilene, Rebecca Byers of Coleman, Amber Clark and husband Jason of Murphreesboro, TN, Sarah Faircloth and husband Sandy of Rockingham, NC, Emily Watts of Abilene; eight grandsons, Matt Burkley and wife Ragan of Melissa, Chad Alexander of Coleman, Terence Byers and wife Christy of Coleman, Todd Byers of Denton, Lyle Hahn and wife Kristin of Boyd, Seth Hahn of Abilene, Justin Cox and wife Megan of Haskell, Preston Cox and wife Sarah of Georgetown, and seventeen great-grandchildren. Her grandsons will serve as Pallbearers. In addition to her husband, she was preceded in death by four sisters and one brother. Visitation will be held at 1:00 p.m. on September 13th at Stevens Funeral Home, 400 W. Pecan Street, Coleman, Texas.